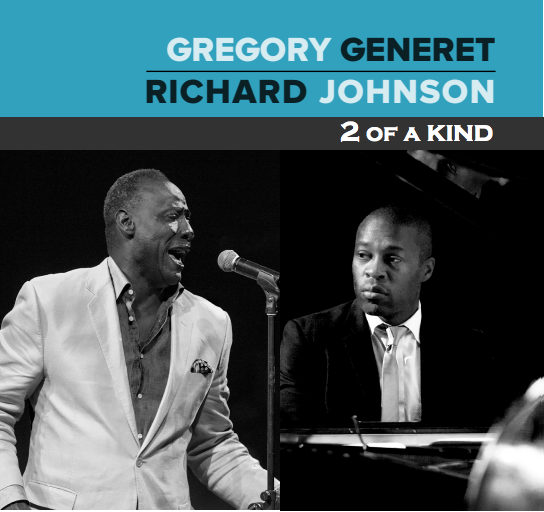 Vocalist Gregory Generet co-leads a band with pianist Richard D. Johnson through a riveting collection of originals and standards. The team of Freddie Hendrix/tp (when is HIS next album coming out? ), Jonathan Beshay/ts, Barry Step Henson/b and Henry Conerway III/dr sounds weaned on Horace Silver hard bop milk, as they provide a rich pulse for Generet’s thick as sorghum voice on a hip “Angel Eyes” and a slinky “Close Your Eyes,” as Johnson’s nimble piano throws red meat to the singer’s voracious appetite for lyrics. Generet’s vibrato is rich on material such as Johnson’s thoughtful “I’ll Wait For You” making the lyrics feel persona, while adding sensuality to Conerway’s brushes on an oozing “You’d Be So Nice to Come Home To.” The team knows how to strut, as they percolate through Oscar Brown’s “Mr. Kicks” while the co-leaders get soft and intimate for the pianist’s “Face It.” Generet sounds almost confessional during the parlor mooded “I Was Telling Her About You” and the pair is deeply personal on “The Shadow of Your Smile” contrasting well by breaking out into a hip and modal “Mr. G” with some raucous teonr work from Beshay. I want to see these guys on stage!